01.30.18 Duke University is planning a formal opening celebration this weekend for the new Rubenstein Arts Center on its campus in Durham, North Carolina. Dubbed "The Ruby", the new William Rawn Associates-designed 70,000 square-foot building boasts extensive flexible arts and classroom spaces while acting as the hub for the entire arts program. To learn more about The Ruby and to take a virtual tour, visit this web page. 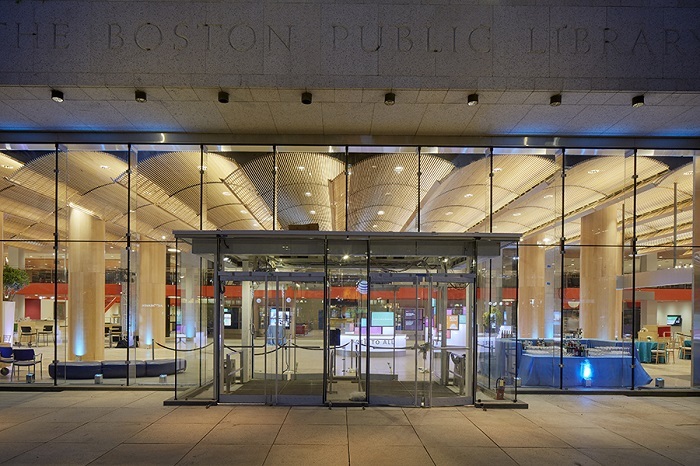 The Boston Public Library won the prestigious 2017 Harleston Parker Award as well as the 2017 People's Choice Award. 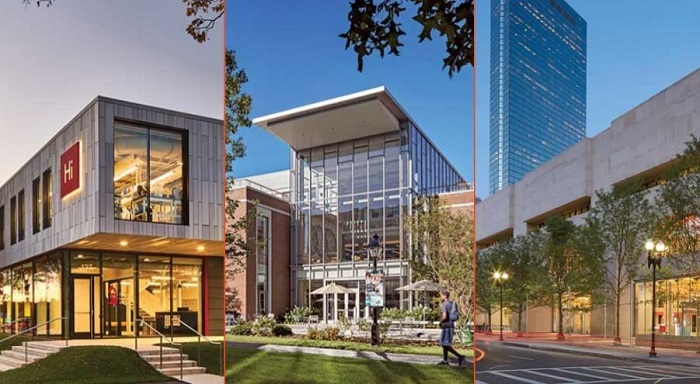 The William Rawn Associates design included an ambitious structural renovation creating a new double story Boylston Hall at the main entrance of the Johnson Building and provides a long-missing link connecting the Johnson Building and the original McKim Building. To read about all the honorees, visit the Boston Society of Architects web page. For a closer look at the 2017 Harleston Parker Award, click here. 01.09.18 Building Design + Construction posted an article online kicking off the start of construction for Phase I of the Fenway Center. Scheduled to be completed in early 2020, Phase I of the Fenway Center is a mixed-use residential, pedestrian, retail and green-space air-rights project to be built in part over the train tracks adjacent to the Massachusetts Turnpike at Yawkey Station.